I knew this day would come. It’s been lying in wait, holding on for just a Tuesday like this one to pounce – writers block! One writer described it as the bogeyman waiting in the mirror. I’m looking into the mirror now, and all I see is little old me, defenceless. January is one of those months – regenerative, scary and disappointing all wrapped into 31 cold, short days. It holds so much promise, but who can carry all that pressure without occasionally stumbling at the awesome weight of the load? What do you do when the bogeyman stalks in the shadows? This writer? First I panic! When panic has passed, I take stock and look for inspiration. So what inspired me in 2015? Easy answer: Carol Dweck and N T Wright. 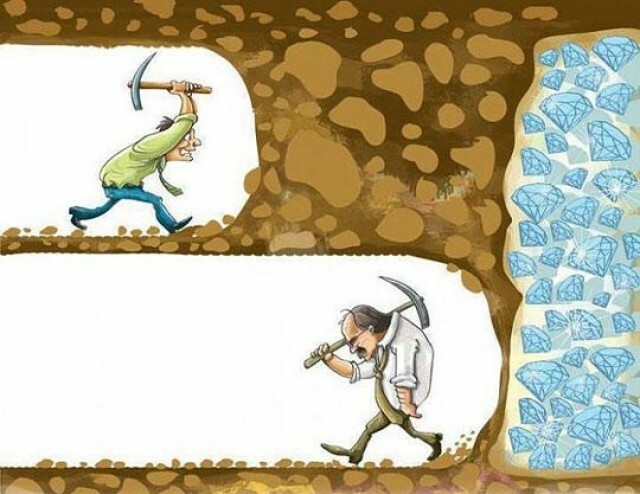 Dweck would encourage me to never give up, pick myself up, dust myself off and approach from a new angle. Wright would remind me that everything I do has eternal impact and everything has redemptive potential – this is no time to down tools. With their words echoing in my mind, I’ll tell a little story. This story is about a dental expert with a PHD in Fat (in her husband’s words). Let’s call our dental person, Joy. Joy is Canadian. Joy works very hard. She works mostly in research and gets extremely excited about tooth paste. Given the chance and asked the right questions, Joy can tell you all about colour, flavour, texture, enzymes, bacteria and the market trends. As her PHD is in ‘Fat’ (entitled something super sciency beginning with ‘obesity’), she can also wax lyrical about diets, exercise, nutrition and metabolism. The thing about Joy is that she is what all of us recognise as an ‘expert’ – crackerjack, alpha-geek, savant, authority, pundit, wizard, maestro, ninja, whizz, hotshot. Joy is the sort of ‘crackerjack’ who is not only knowledgeable, but passionate. When you meet Joy – small, middle aged, with a slightly high pitched, Vancouver-European mix of an accent – she inspires without even really trying! Joy infects and affects. You walk away changed. We had lunch with Joy and her family on the weekend and I’m convinced that with the right attitude (I talk to myself here), we can all be like Joy. Maybe meeting an ‘expert’ makes us think that this type of expertise is not accessible to us. I for one often feel more like a dabbler than an expert. But Joy had to have started somewhere. As a word lover I couldn’t resist. 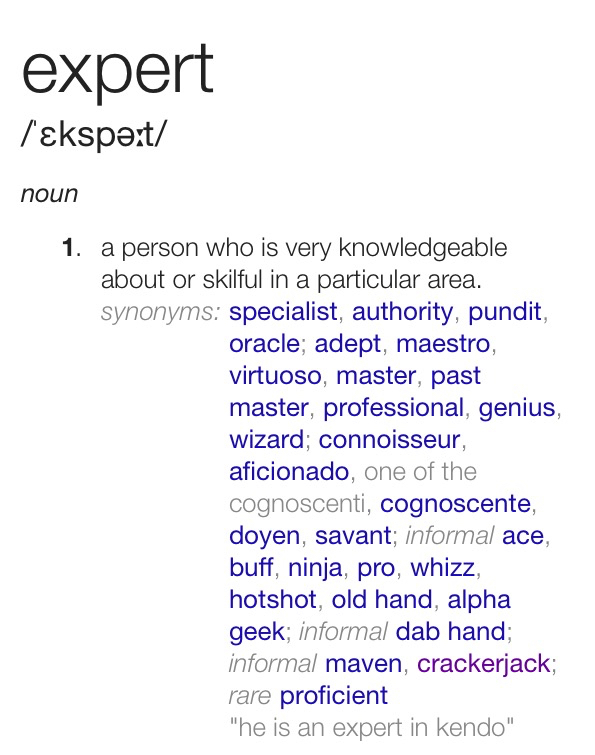 In the thesaurus, next to the word ‘expert’, you’ll find the delightfully attractive, connoisseur. We think of the word ‘connoisseur’ as it refers to an aficionado in wine or food – someone who knows how it’s made, the science and culture, someone who marvels at the taste, the aroma, an authority who is both a critic and a creator. It comes from the French verb connaître -“to know”. Thanks to Carol Dweck, I’m encouraged to find that a connoisseur is not born. He/she is developed – first we must dabble, making mistakes and building confidence. Then we must learn, study and work hard. This develops passion. 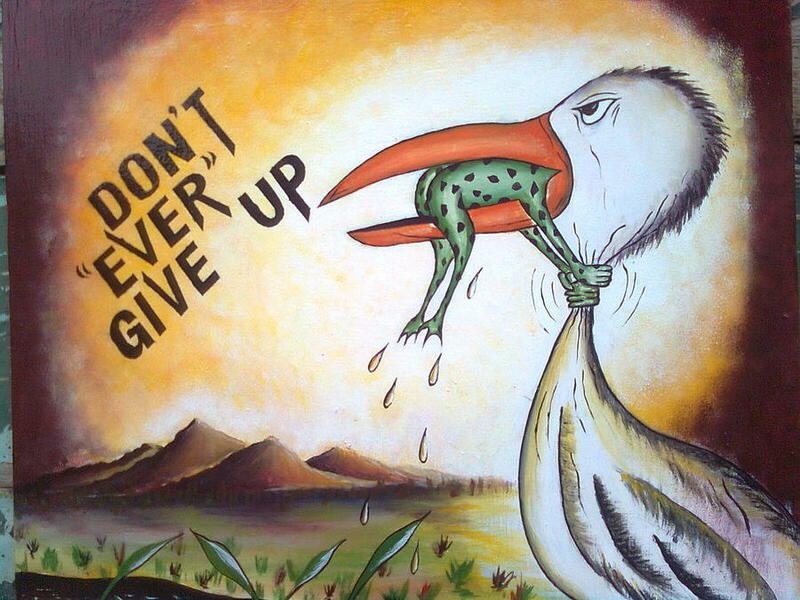 By never giving up, approaching a challenge from a new angle and learning from disappointments and setbacks, we can all slowly become connoisseurs, crackerjacks, pros and rare proficients – infecting and affecting the world around us. Well, look at that! Instead of dwelling on the small blonde in the mirror facing off the monster (‘bogeyman’ is sooooo American and honestly makes me think of snotty noses), I’ve managed to look outwards at Joy and others like her (thanks to all the experts and impassioned dabblers in my life), and I’ve literally written myself into a frenzy of inspiration – I believe I’m ready to face the rest of January! P.s. Thanks for bearing with me while I picked myself up off the floor. Hubby and I know Joy intimately and I’m sure you know many like her too. When you’re feeling like you cannot go on, stop looking in the mirror and you’ll soon find your balance again. P.p.s. FYI: I do prefer and try to use all my own photography, but these two ‘never give up’ images have resurfaced and resurfaced over the years and they never cease to work on me, so I pass them on to you. P.p.p.s. I do go on about Carol Dweck, don’t I? I’ll work on that. By the way, I welcome critics as well as fans to www.nyamazela.com. I think Joy and Blaise are going to have a spectacular year, because they seem so thoughtful, and un-Januarified(?). Inspiring, Sandi! There is such power in a person’s ‘story’!!! Abasolutely love the Book Thief!!!!! One of my favourites!!! !